With the release of their full-length debut Sponge Cake, which featured their recently gold-certified debut single “Be About You,” the Sydney, Australia-based sextet Winston Surfshirt was championed by Beats 1 Radio host Zane Lowe, KRCW’s Jason Bentley, BBC Radio 1’s Huw Stephens and Phil Taggart, BBC Radio 6’s Lauren Laverne and Elton John, thanks in part to a Australian sextet’s unique and slickly produced blend of synth funk, soul and hip-hop. Adding to a growing profile, Sponge Cake was named a Triple J feature album. Liam Brown, an up-and-coming, Liverpool, UK-based singer/songwriter, multi-instrumentalist, producer and electro pop artist, best known as pizzagirl has become one of this site’s latest mainstays over the couple of months. Now, as you may recall, with the release of the An Extended Play EP earlier this year, Brown was quickly championed by Huw Stephens, Annie Mac and Lauren Laverne, and received praise from DIY, Highsnobiety, Wonderland, The Line of Best Fit and others for an 80s synth pop inspired sound. And adding to a growing profile, Brown opened for acclaimed British act Her’s during their most recent UK tour. With the release of singles like “highschool,” “gymnasium,” “body part,” off Brown’s soon-to-be released sophomore pizzagirl EP season 2, the Liverpool-based artist further cements a growing national and international reputation for crafting swooningly heartfelt, shimmering synth pop that draws from several decades simultaneously, giving it a decidedly anachronistic sound and feel. “blossom at my feet, flower,” season 2‘s latest single is a classic 80s-inspired power ballad, centered around thumping beats, shimmering synths, chiming guitars, and an anthemic hook. Unsurprisingly, Brown’s latest continues a run of cinematic singles — but unlike its predecessors, it’s the most prom-like, evoking teenaged hopes, desires and dreams with a novelistic detail to psychology and the psychological state of his narrators. Over the past couple of months, I’ve written a bit about Liam Brown, an up-and-coming Liverpool, UK-based singer/songwriter, multi-instrumentalist, producer and electro pop artist, best known as Pizzagirl. 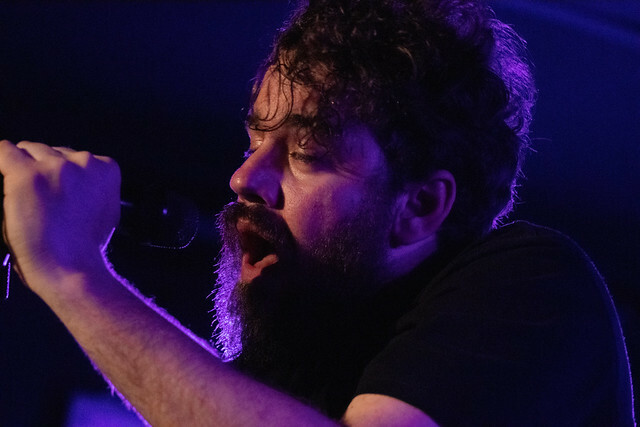 Now, as you may recall, with the release of his debut EP An Extended Play earlier this year, Brown was quickly championed by Huw Stephens, Annie Mac and Lauren Laverne, and received praise from DIY, Highsnobiety, Wonderland, The Line of Best Fit and others for an 80s synth pop inspired sound. And adding to a growing profile, Brown opened for acclaimed British act Her’s during their most recent UK tour. Building upon a growing profile and growing buzz, Brown’s sophomore Pizzagirl EP season 2 is slated for a November 2 release, and from the EP’s first two singles “highschool” and “gymnasium,” Brown will further cement a reputation for crafting swooningly heartfelt, shimmering synth pop that draws from several decades simultaneously; in fact, both singles brought the likes of Washed Out, St. Lucia and Tears for Fears to mind. “body part,” the EP’s latest single while clearly bearing an uncanny resemblance to its predecessor, the song finds Brown successfully walking a difficult tightrope of an oversized, larger-than-life cinematic feel with an emotional intimacy that continues to evoke the very urgent emotions and thoughts of being a teenager in love. Now, over the past few years, I’ve written quite a bit about Copenhagen, Denmark-based electro pop duo and JOVM mainstays Palace Winter, and the act, which features Australian-born, Copenhagen-based singer/songwriter Carl Coleman and Caspar Hesselager can trace its origins to Coleman and Hesselager’s mutual familiarity and appreciation for each other’s work in a number of different projects — and naturally, the duo were encouraged to collaborate together. 2015 saw the release of their debut single, but 2016 the duo saw critical praise from The Guardian, NME, The Line of Best Fit, and airplay from KCRW, KEXP, Norway’s P3, Denmark’s P6, as well as by BBC Radio personalities Guy Garvey, Lauren Laverne and Tom Ravenscroft with the release of the Medication EP and their full-length debut Waiting for the World to Turn. Adding to a growing international profile, Coleman and Hesselager have a Hype Machine #1 single under their belts, have opened for Noel Gallagher, and have made appearances across the European festival circuit, including sets at Guy Garvey’s curated Meltdown Festival, Roskilde Festival, Green Man Festival, Sziget Festival, Latitude Festival and Secret Garden Party among others. Nowadays, the Australian-Danish duo’s sophomore album was released earlier this year and from album singles “Empire,” “Come Back (Left Behind),” “Baltimore,” and “Take Shelter,” their sophomore album reveals an act that has managed to expand upon their sound and songwriting approach in a subtle yet decided fashion as the material is centered around Coleman and Hasselager’s penchant for pairing at times breezy, melodic and downright radio friendly pop with dark and sobering thematic concerns — with Nowadays, their material focuses on the inevitable loss of innocence as one truly becomes an adult; the recognition of the fear, freedom and power that comes as one takes control of their life and destiny; the tough and sometimes embittering life lessons that get thrown in your way; as well as the inconsolable grief and confusion of loss. Interestingly, the Australian-Danish duo’s latest single “Acting Like Lovers” may arguably be one of the upbeat songs on the album as its centered by a production that manages to be simultaneously cinematic and intimate as it features strummed acoustic guitar, shimmering and arpeggiated synths, a motorik-like groove and their uncanny ability to craft breezy, 70s AM rock-like melodies. The song hints at a sense of closure — but with the subtle recognition that in life there is no such thing as closure, that life inevitably shoves you forward while you make every attempt to pick up the pieces and have some semblance of normalcy. Earlier this month, I wrote about Liam Brown, an up-and-coming Liverpool, UK-based singer/songwriter, multi-instrumentalist, producer and electro pop artist, best known as Pizzagirl, and with the release of his debut EP An Extended Play earlier this year, Brown was championed by the likes of Huw Stephens, Annie Mac and Lauren Laverne, and received praise from DIY, Highsnobiety, Wonderland, The Line of Best Fit and others for an 80s synth pop inspired sound. And adding to a growing profile, Brown opened for acclaimed British act Her’s during their most recent UK tour. Building upon the growing buzz surrounding him, Brown’s sophomore Pizzagirl effort season 2 is slated for a November release, and as you may recall EP single “highschool” was an achingly wistful and pensive synth pop track centered around arpeggiated synths, thumping beats and a sinuous hook that immediately brought Washed Out, St. Lucia and classic 80s synth pop to mind. “gymnasium,” season 2‘s latest single continues on a similar vein — swooningly heartfelt and oversized teenaged sentiment paired with a breezy yet decidedly DIY production featuring twinkling keys, thumping beats, Brown’s plaintive vocals, a Tears for Fears-like bridge and incredibly infectious hooks. Just as important, Brown manages to accurately capture and evoke what it feels like to be a high schooler and desperately in love. Theodore has written compositions for Matina Megla’s Window, Vladan Nikolic’s film Bourek and he was commissioned to write a new, live score for Buster Keaton’s classic, 1928 silent comedy The Cameraman, which he and his band performed during a screening at the Temple of Zeus. But interestingly enough, his sophomore album It Is But It’s Not, which was performed live at London’s Abbey Road Studio 2 has been his breakthrough effort as the accompanying performance video has amassed more than 2 million YouTube views — and as a result, the Greek composer, singer/songwriter and multi-instrumentalist has played sets at some of the world’s biggest festivals, including Reeperhbahn Festival, Eurosonic Nooderslag, Release Festival and SXSW. Adding to a growing profile, he has opened for Sigur Ros and DIIV, and has received praise from a number of major media outlets, including Clash Magazine, Music Week, Tsugi, FGUK, Gaffa and Szene, as well as airplay from BBC Radio 6 Music’s Lauren Laverne. Oh, and I must add that “Towards (for what is to come)” is currently playlisted on NPR’s All Songs 24/7 and Germany’s Flux Passport Approved. Theodore’s third, full-length album Inner Dynamics is slated for a November 2, 2018 release and the album finds him thematically looking inward to examine the dichotomies (and dualities) of his identity in order to seek new creative potential. “On It Is But It’s Not, I tried to explore how the opposite elements in the universe interact, how they fight and how without the one you can’t have the other.” Theodore says, adding, “For Inner Dynamics, I was trying to express my urge to connect the conscious and subconscious part of myself so I can be creative. It’s an understanding that humans are not just one thing, and they shouldn’t try to hide certain elements of their personality because society likes to put labels of who we are. It’s the different sides of my self that makes who I am.” Inner Dynamics‘ third and latest single “Disorientation” clocks in at a little over 6 minutes, and it finds Theodore’s sound nodding at dramatic film scores, Kid A and Amnesiac-era Radiohead-like atmospherics, Pink Floyd’s Wish You Were Here and Rush-like prog rock expansiveness, centered around Theodore’s yearning vocals and slick production. Liam Brown is an up-and-coming, Liverpool, UK-based singer/songwriter, multi-instrumentalist, producer and electro pop artist, best known as Pizzagirl — and with the release of his debut EP An Extended Play earlier this year, Brown was championed by the likes of Huw Stephens, Annie Mac and Lauren Laverne, and received praise from DIY, Highsnobiety, Wonderland, The Line of Best Fit and others for an 80s synth pop inspired sound. And adding to a growing profile, Brown opened for acclaimed British act Her’s during their most recent UK tour. Building upon a growing profile, Brown’s sophomore Pizzagirl effort season 2 is slated for a November release, and the EP’s latest single “highschool,” will further cement Brown’s reputation for crafting achingly wistful and pensive, synth pop centered around shimmering, arpeggiated synths, thumping beats and sinuous hooks — while recalling Washed Out, St. Lucia and classic 80s synth pop, complete with enormous, painfully sincere teenaged sentiment, as the song’s narrator is worried about losing his cool over someone he digs immensely.